This barn will soon be gone. I was happy to be able to showcase it in a setting with blue sky and puffy white clouds. 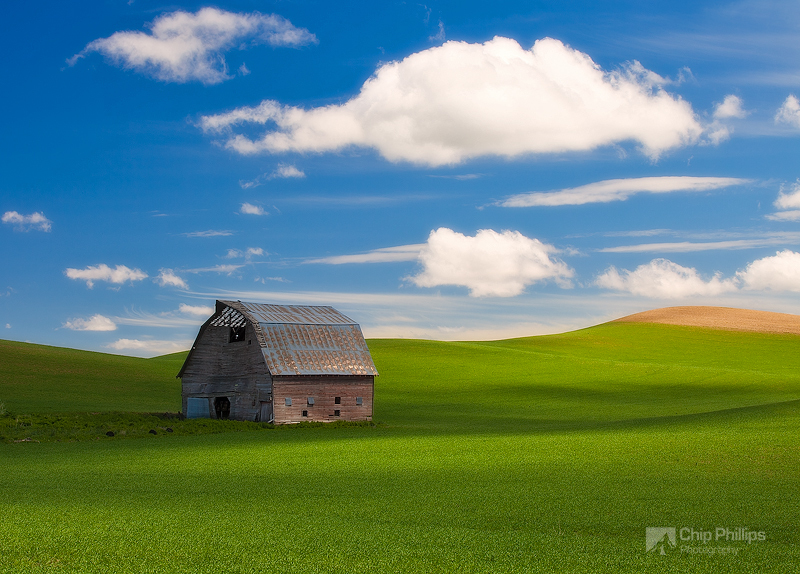 Shot in the Palouse region of Washington State.